I purchased this caddy to replace the optical drive from my newly bought Samsung NP700Z5B-W01UB laptop. The caddy was a near perfect fit. I only had issue with one screw which I ended up not using in the end. Installation was not quite easy but mainly due to the laptop's construction. I basically had to remove the bottom lid to replace both the optical drive and hard disk. After installation I booted the laptop with the lid open just to make sure everything was properly assembled. The newly replaced hard drive was instantly detected by the bios. Also no problems at all after logging into windows 7. Now I have a ssd for with windows 7 installed and also an additional 750 GB disk on my laptop. Advise caution when replacing the optical drive. This is a well made product. I am glad newmodeus carries these laptop specific models. 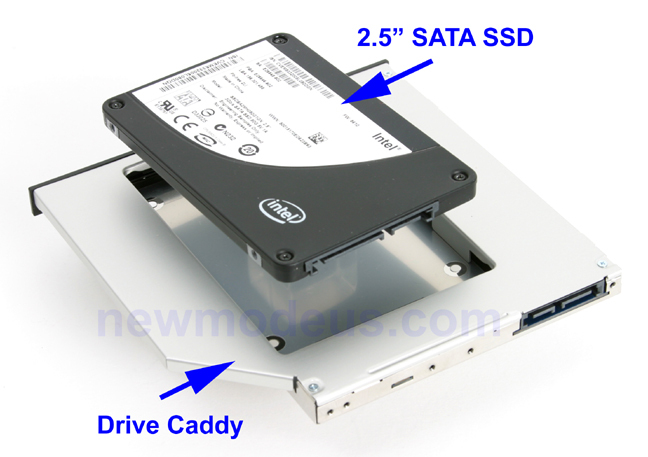 I am going to purchase one of their USB 3.0 SATA adapters to use with the removed optical drive. I highly recommend this product.